Bring meaning to your designs with the TierraCast antique gold-plated pewter round Om charm. This flat, circular charm features the symbol for the meditative sound "OM" on one side. The back of the charm is blank. This symbol is sure to add a spiritual accent to designs. The loop attached to the top makes it easy to add to designs. Use it in earrings, necklaces or charm bracelets. 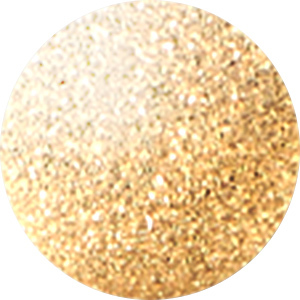 This charm features a regal golden glow. Create a beautiful jewelry design with the TierraCast Om Blossom bracelet kit. This kit includes enough supplies to make one 7-9 inch bracelet. An Om button, beaded spacers, a lotus charm, gemstone beads and 18 inches of leather cord are all included. The finished bracelet features earthy style with Zen accents. In order to complete this project you will need scissors and super glue. Add meaningful style to your designs with help from the TierraCast antique silver-plated pewter round Om coin charm. This small, circular charm features the Om symbol on both sides, for a subtle spiritual design. Use it as an accent piece in bracelets, necklaces and even earrings. This charm features a versatile silver shine that would work with any color palette. You can use it anywhere. Put a meditative style into designs with the TierraCast antique silver-plated pewter round Om charm. This flat, circular charm features the symbol for the meditative sound "OM" on one side. The back of the charm is blank. This symbol is sure to add a spiritual accent to designs. The loop attached to the top makes it easy to add to designs. Use it in earrings, necklaces or charm bracelets. This charm features a versatile silver shine. The elegant rhodium color of this charm combines with the Devanagari symbol for "ohm," which is considered to be one of the most sacred syllables in several Indian religions and is often used for meditation. Include this charm as a subtle focal piece in your jewelry designs or around the house to express your spiritual dedication or as a reminder of the importance of personal meditation. The rhodium plating of this pewter charm will provide you with a unique component full of captivating beauty. Let meaning fill your designs when you use the Nunn Design antique silver-plated pewter Itsy spiritual Om round charm. This charm is circular in shape and features the symbol for the Ohm sound used in meditation on the front. This sacred sound is used as a spiritual icon in many cultures. The back of the charm is plain and flat. A small loop is attached to the top, making it easy to add to designs. Dangle it from necklaces, bracelets and even earrings. It is small in size, so you can use it anywhere. It features a versatile silver color. Accent designs with spiritual style using the TierraCast gold-plated pewter Om pendant. This charm is shaped like the Devanagari symbol for "om," which is considered to be one of the most sacred syllables in several Indian religions and is often used for meditation. Include this charm as a subtle focal piece in your jewelry designs or around the house to express your spiritual dedication or as a reminder of the importance of personal meditation. It features a regal golden shine. Add meaning to designs with the TierraCast brass oxide pewter large Om charm. This charm is shaped like the Devanagari symbol for "om," which is considered to be one of the most sacred syllables in several Indian religions and is often used for meditation. Include this charm as a subtle focal piece in your jewelry designs or around the house to express your spiritual dedication or as a reminder of the importance of personal meditation. It features a dark golden brown shine. The brilliant rhodium color and antiqued accents of this small pendant combine with the Devanagari symbol for "ohm," which is considered to be one of the most sacred syllables in several Indian religions and is often used for meditation. Include this pendant as a subtle focal piece in your jewelry designs or around the house to express your spiritual dedication or as a reminder of the importance of personal meditation. The rhodium plating of this pewter pendant will provide you with a unique component full of captivating beauty. The copper color and dark antiqued accents of this charm combine with the Devanagari symbol for "ohm," which is considered to be one of the most sacred syllables in several Indian religions and is often used for meditation. Include this charm as a subtle focal piece in your jewelry designs or around the house to express your spiritual dedication or as a reminder of the importance of personal meditation. The antique copper plating of this pewter charm will provide you with a unique component full of captivating beauty. You'll love the Zen look of the TierraCast antique copper-plated pewter round Om charm. This flat, circular charm features the symbol for the meditative sound "OM" on one side. The back of the charm is blank. This symbol is sure to add a spiritual accent to designs. The loop attached to the top makes it easy to add to designs. Use it in earrings, necklaces or charm bracelets. This charm features a warm, coppery glow. Put a peaceful accent of style in your designs with the ImpressArt 6mm Om design metal stamp. This stamp can be used with soft metals, clay, wood, leather and other materials. It's great for use in mixed media designs. This metal stamp features a design shaped like the symbol for "om," a syllable often used in peaceful meditation. You can use this stamp to decorate metal blanks. Try decorating pendants or charms with this symbol. Accent designs with the spiritual beauty of the TierraCast brass oxide pewter small Om charm. This small charm features the Devanagari symbol for "om," which is considered to be one of the most sacred syllables in several Indian religions and is often used for meditation. Include this charm as a subtle focal piece in bracelets or earrings or even around the house to express your spiritual dedication or as a reminder of the importance of personal meditation. It features a golden brown color full of vintage appeal.